In our latest shopping roundup, we highlight the newest shops, expanding neighbourhoods and trending brands across Joburg to check out this spring. From the exciting expansion of Soweto’s iconic retail outlet The Box Shop in Midrand, to unique local brands that have caught our eye at cool shopping destinations Victoria Yards and 44 Stanley, here’s the most exciting new stores we have uncovered in Joburg. Last month lifestyle retail outlet The Box Shop, a mainstay on Soweto’s famous Vilakazi Street, opened its second storefront in Midrand. The Box Shop is equally as known as a destination for bold fashion and accessories, as for being a platform that showcases new and up-and-coming South African designers and brands. Head to Midrand to #shoplocal and pick up some must-have accessories, like floral rimmed sunglasses from Aluta Sunglasses and fashion-forward Elppag Brand‘s denim overalls and jackets. The Box Shop Midrand is located at the corner of Lever and Olifantsfontein Road in Noordwyk, Midrand. Transformed from a derelict complex of sprawling industrial buildings into a vibrant community of makers and artists, Victoria Yards is a new Joburg’s lifestyle shopping destination. Their monthly First Sunday Open Studios event attracts a social crowd of Joburgers; however, many of the studios and stores remain open throughout the week, for you to browse at your own pace. Our guide to shopping for local fashion at Victoria Yards highlights the funky recycled leather jackets by Oscar Ncube’s Dry Bone Co., the curated selection of jewellery from Hélène Thomas’ Yol Bijoux Nomades collection, Tshepo Mohala’s eponymous denim label Tshepo The Jean Maker and more. With the holiday season on the horizon, what’s recently caught our eye at Victoria Yards are two South African design brands doing something different with gifts and home goods. Young Bucks is making print chic again, with their line of custom, environmentally-friendly stationery and notebooks (pick up their colourful hardcovers encased in authentic 3Cats Shwe Shwe fabric). Coote & Wench sources local antique and vintage lighting fixtures and repurposes them into gorgeous, one-of-a-kind designs to hang from your wall like a piece of art. Victoria Yards is located in Lorentzville. Making small changes can have a big impact – we love how our new pieces have just slotted in and look right at home in our studio. 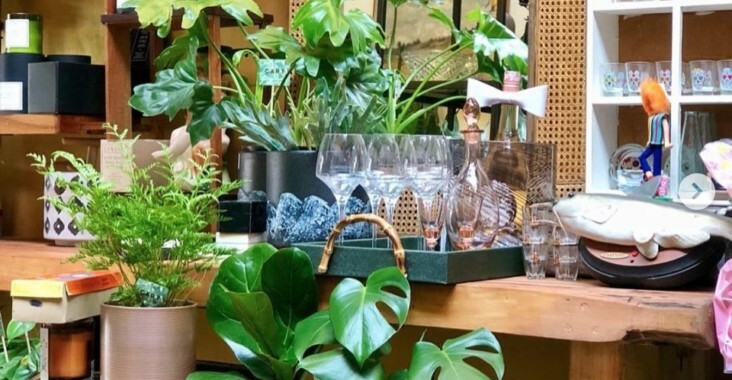 Cart is a gorgeously green store in Linden, filled with a mass of indoor plants that crowd around a range of fun, quirky and interesting homeware objects, many of them designed for the bar and a life of hosting drinks parties. From interesting modern bar accessories, to vintage items that include delicate glassware, chunky soda dispensers that would be perfect on the set of Mad Men, this is a great place for stocking up on unusual gifts. Items are handpicked and many are of a limited range or one of a kind. Auckland Park’s 44 Stanley, Joburg’s original urban boutique shopping and eating destination, needs no introduction. The converted industrial complex offers a dynamic selection of local independent fashion and home goods labels, cafes and coffee shops spread across a series of lush interlinked courtyards. This season sees the opening of several new stores. The Bonsai Studio is a small, specialised shop that grows and carefully crafts bonsai trees for the conscientious urban dweller. Outdoor-types rejoice! With the warm spring weather finally settling in for good and the jacarandas beginning to soon pop, Gone Outdoor Supply Co. could not land in Johannesburg at a better time exclusively stocking the beloved American outdoor clothing brand Patagonia. Inspired by the lively energy of 44 Stanley, Mungo Design completely revamped its familiar storefront this month to provide customers with an immersive in-store experience. Mungo’s exquisite range of natural fibre woven textiles – all locally milled in Plettenberg Bay – make great gifts, beloved for their balance of contemporary design and traditional weaving techniques. This charming store on Parkhurst’s main strip Fourth Avenue is back after taking a high street break. A great gift stop for unique and quirky gifts and homeware items, Green Grass Designs specialises in laser-cutting, and is also a product and graphic design studio. 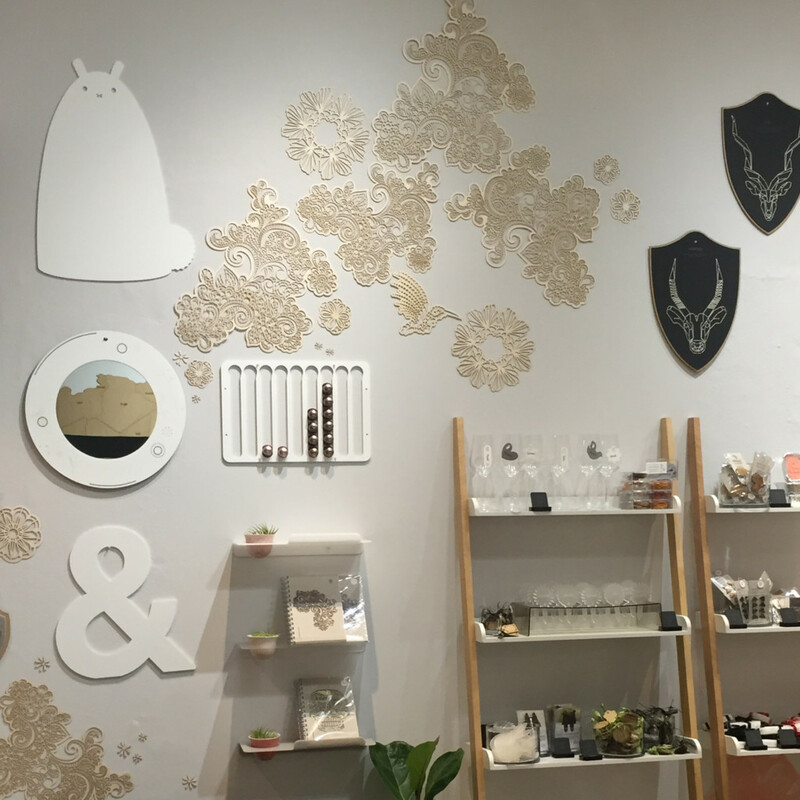 From perspex cookbook stands and magazine racks to bathroom mirrors, stationery sets and laser-cut notebooks and cards plus fun stuff for kids there’s plenty to choose from.